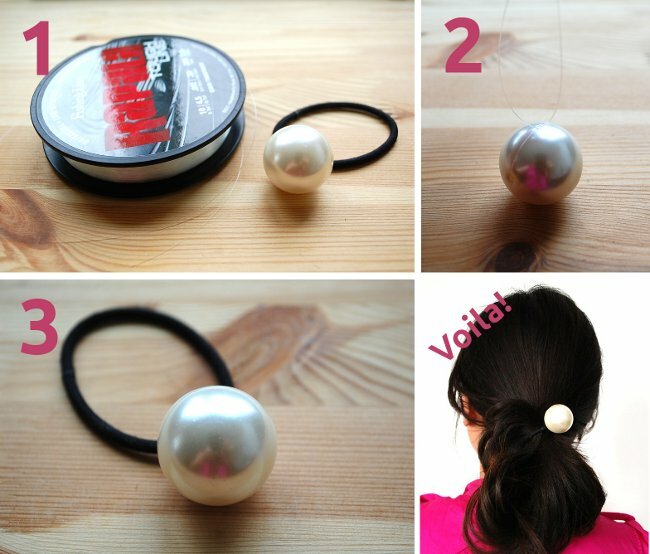 Inspired by the dramatic huge pearl hairband seen during Chanel's 2013 S/S runway show, we decided to do a quick and easy tutorial on how to make your own big pearl hairband! This one is SUPER easy! 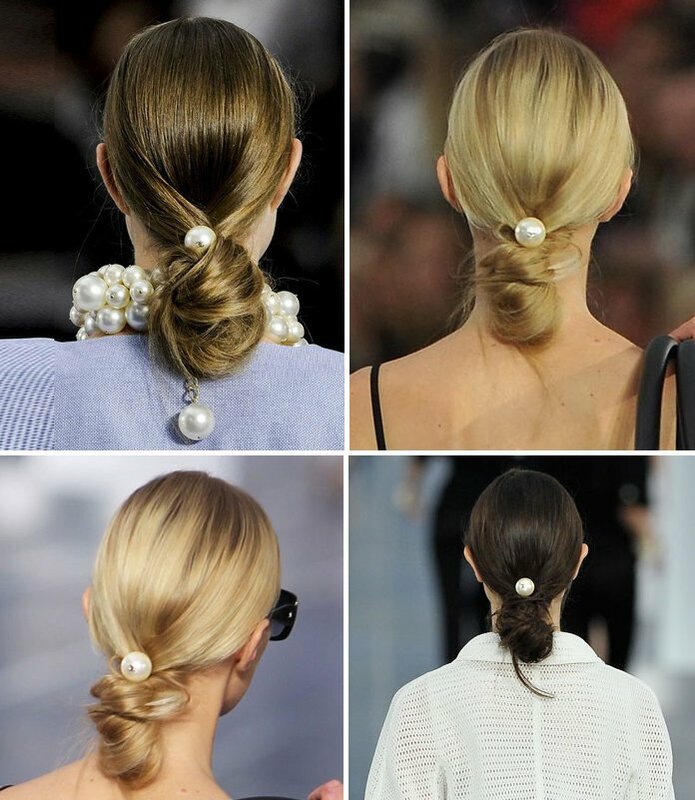 Chanel's 2013 S/S runway show displayed a chic loose low bun with a GIANT pearl. The look is elegant, simple and very easy to replicate. 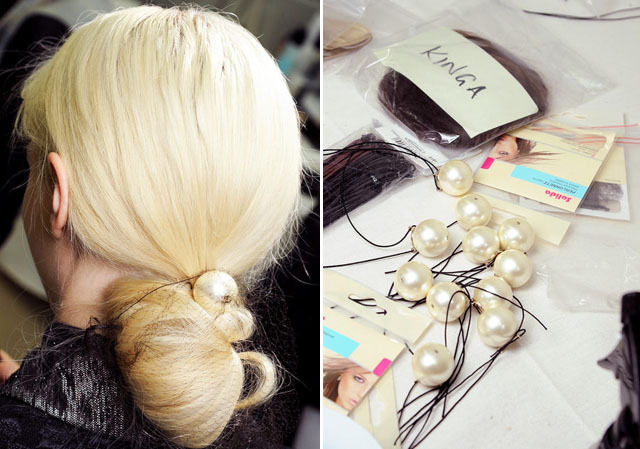 Here's a photo of the pearl hairbands backstage at the runway. You can see how simple the concept is. Cut some fishing string. 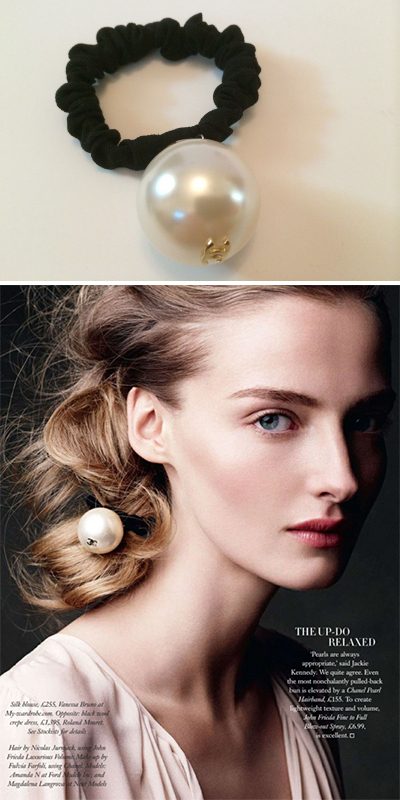 Loop the string through the pearl bead and double knot. Then, take those two ends and quadruple knot around your hairband. Cut off excess fishing string. And, that is it!! I'm not sure how much it originally retailed, but it was somewhere between $200-$300. These hairbands are very difficult to find. When they become available, they oftentimes sell much higher than their retail value. Hope you enjoyed this DIY! 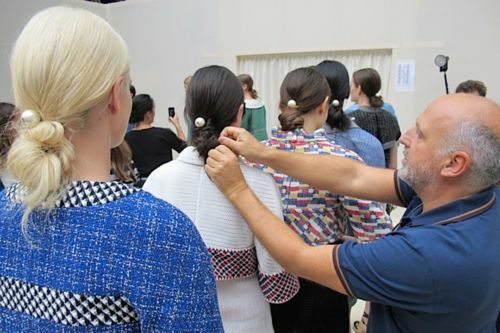 If you liked it, you can also check out our DIY for 2012 Spring Summer Chanel runway hair.